From the guest house you can wander through the English inspired gardens to our rustic cellar door. which operates out of the original homestead stables. 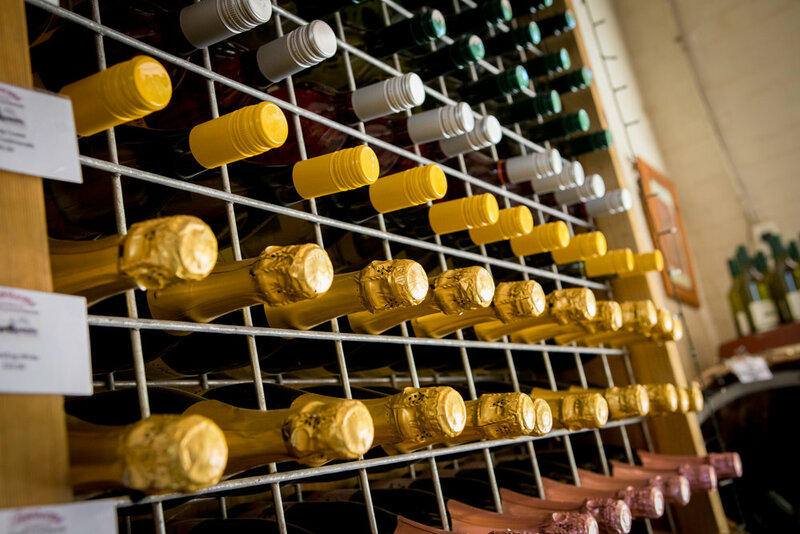 It has unique surroundings in which you can enjoy tasting our cool climate wine varieties including Semillon, Sauvignon Blanc, Riesling, Pinot Noir, Shiraz, Cabernet Sauvignon and Merlot. The wine produced from this vineyard has won several awards in the major wine shows. We are committed to establishing the New England as a premium cool climate wine region, and strive to do this by continuing to produce outstanding wines. 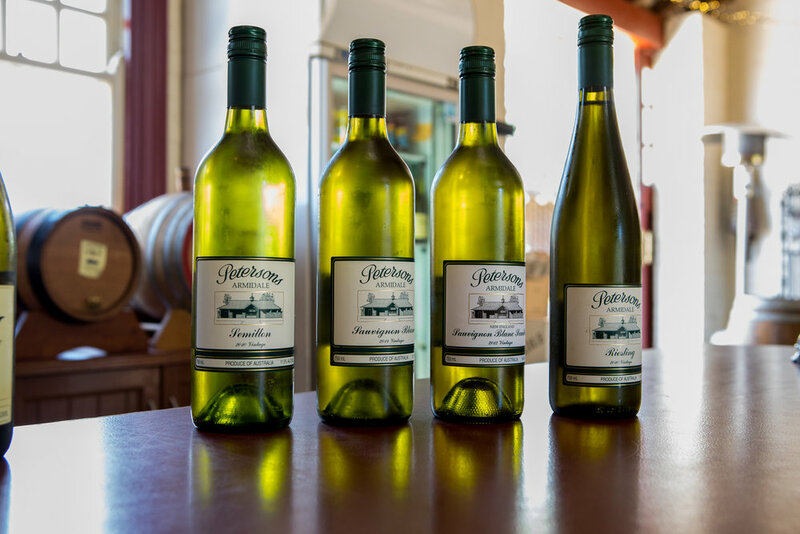 Peterson’s Armidale Winery has an Australian wine license enabling our cellar door to stock and sell the full range of Armidale wines along with a selected range of Mount View, Mudgee and Peterson Champagne House - your favourite reds, whites and sparkling all under one roof. We focus on providing those who visit our cellar door with a memorable experience, enjoy a long lunch on the weekend, take a walk through our beautiful 30 acres of vineyard and leave with a great case of wine for your own cellar. Wine tasting is available for groups as well - please call 67720422 to pre-book. We have had some wonderful functions in the garden during the warmer months and our huge winter fire place keeps things cosy in the winter. 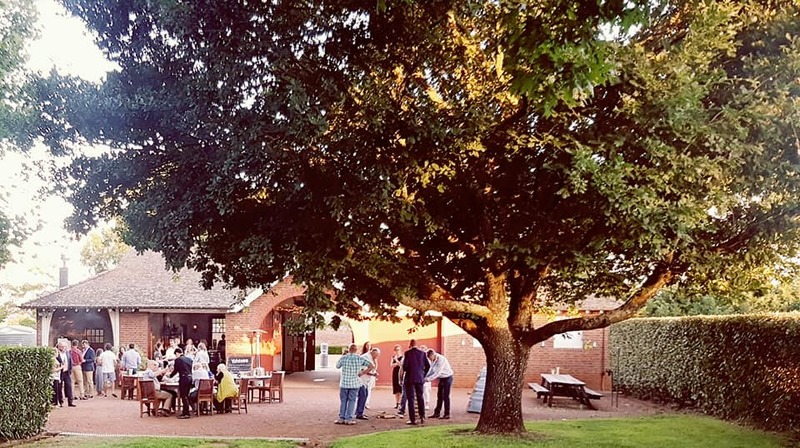 Our cellar door is the perfect location for your evening canape and drinks function with plenty of breezy space to mingle and play games. See our functions page for canape menus.